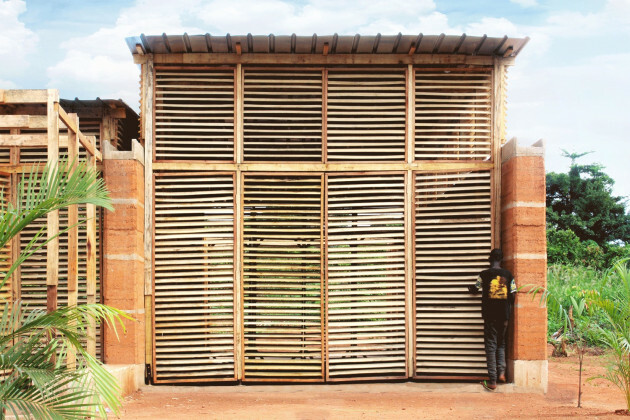 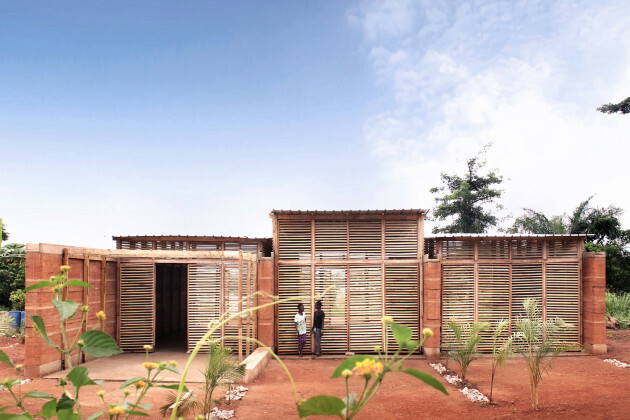 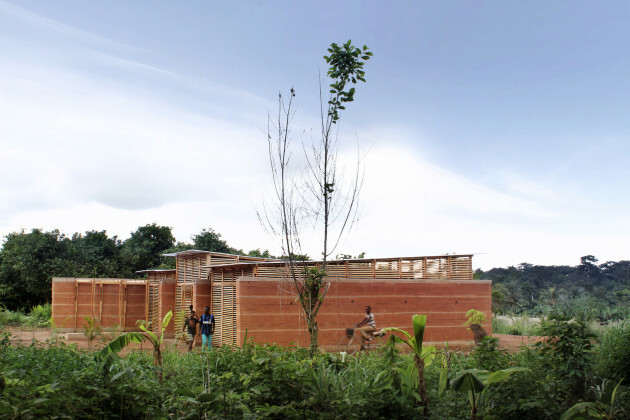 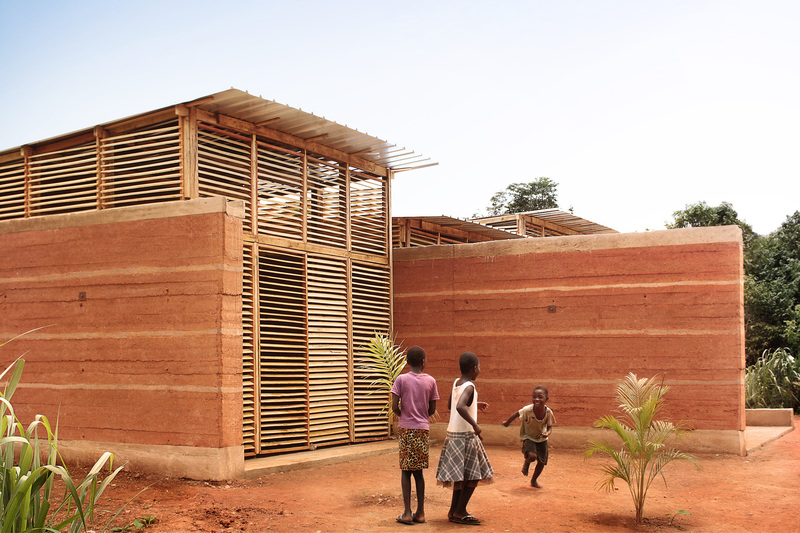 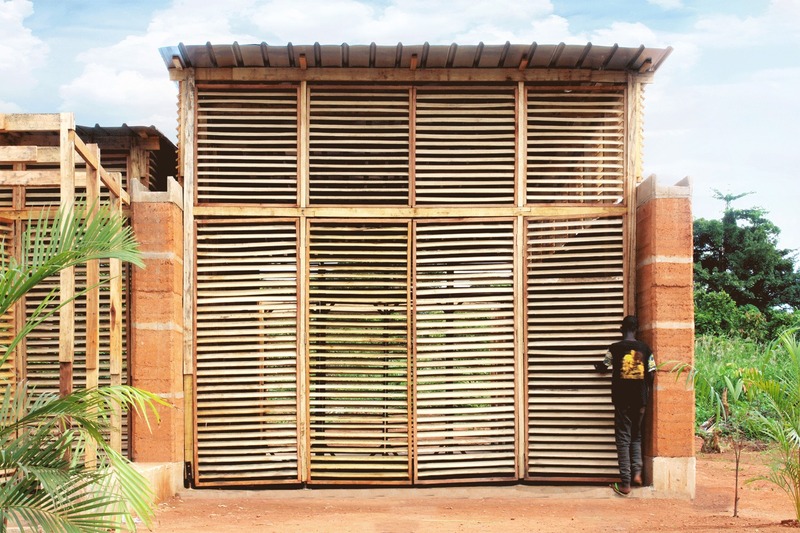 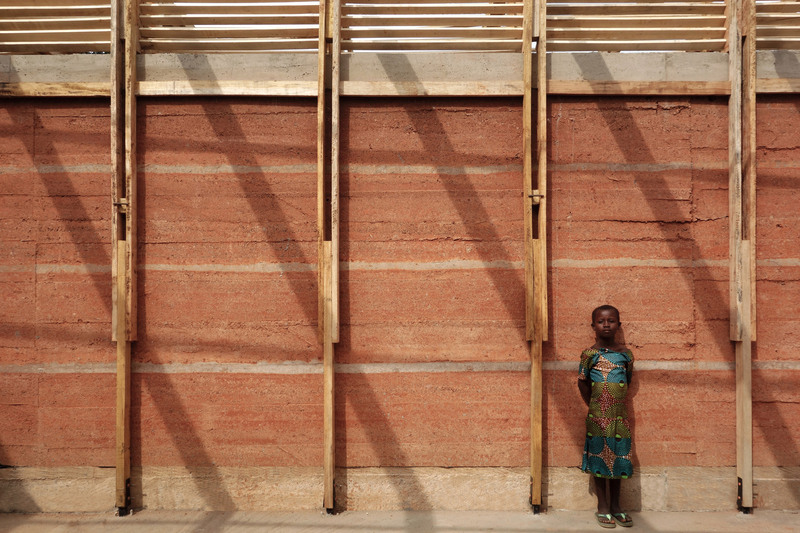 InsideOut is a school prototype built in Yeboahkrom, a rural village in Ghana where the wind had destroyed the only school in the area. 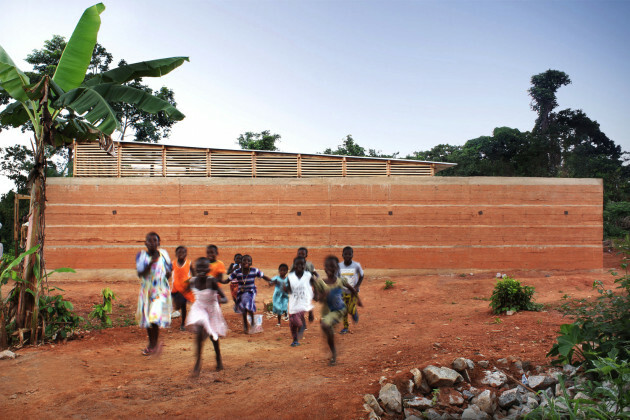 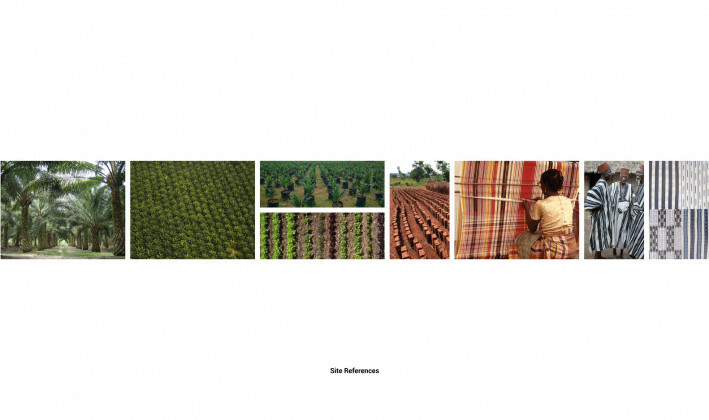 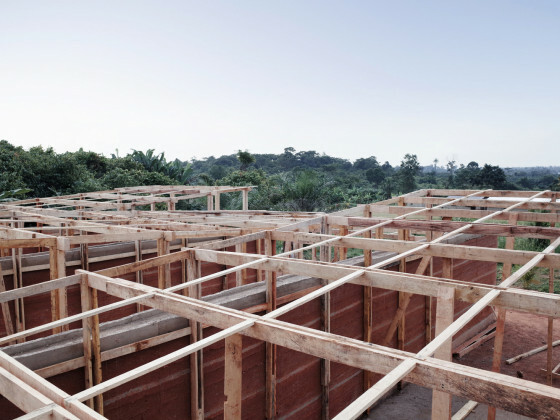 This non-profit project, designed by Andrea Tabocchini & Francesca Vittorini, won several international awards and was constructed in 60 days with just 12,000 euro, together with the local population and volunteers from 20 different countries. 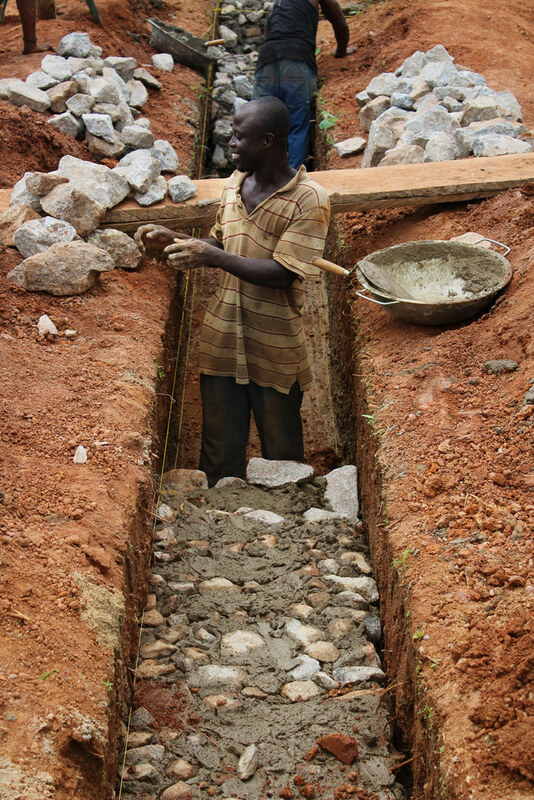 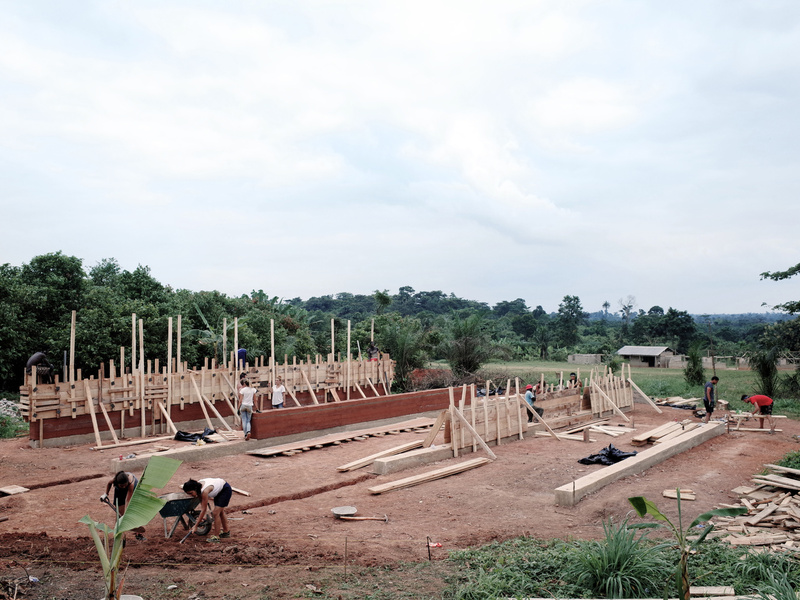 Since no electricity was available it was built by hand, crafting materials available on site (earth, wood, and vegetation), moving by hand 58,000 kg of soil and planing 3 km of wood with 2 hand planers. 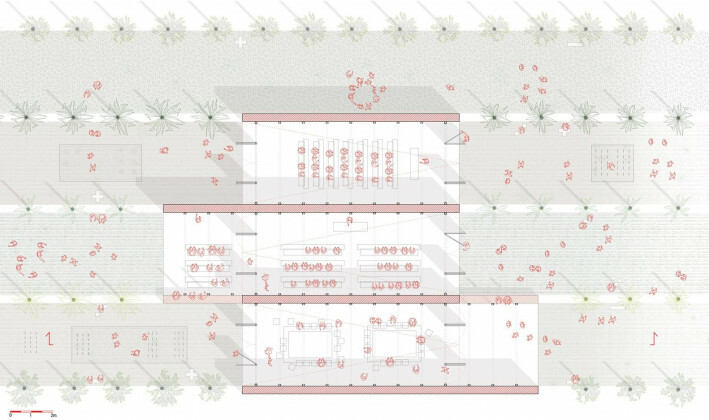 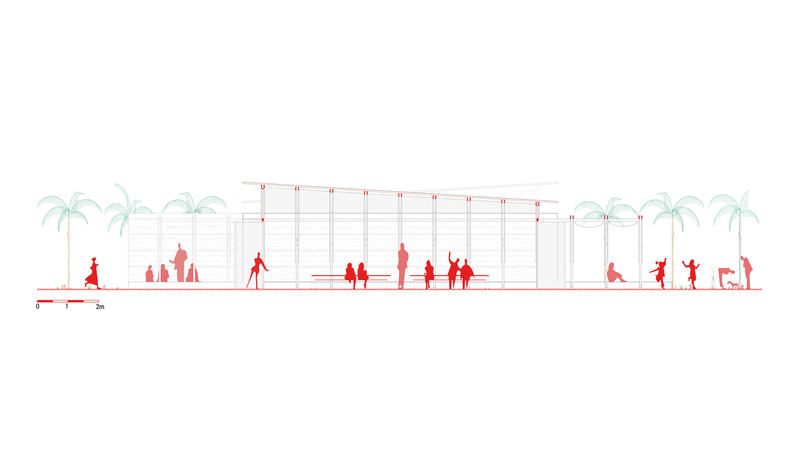 The result is a work that blurs the boundary between inside and outside, offering an alternative to standard introverted classrooms and proposing an affordable and easily replicable design that values the local know-how and pushes its limits.